B's Beauty and Books: Author Focus: Tessa Dawn!!!! 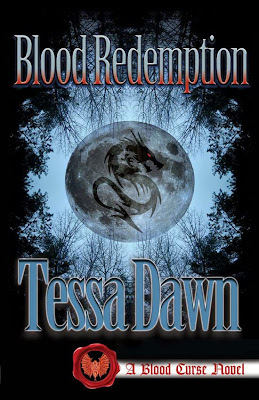 So my friend Carrie introduced a new author for me to check out, Tessa Dawn, the author behind The Blood Curse Series! So now I am focusing on her to spread her books to all of you who love your vampires and PNR! She has a new book in the series coming out....check it out! the wrong house. And the sunlight isn’t going to kill him because he does have a soul. unprepared to face a fire-breathing dragon. them both. Can a being lost in darkness for eight-hundred years ever find its way to the light? damnation simply for the hope of BLOOD REDEMPTION? BLOOD REDEMPTION ~ a journey of elemental darkness and primordial light. Tessa Dawn grew up in Colorado where she developed a deep affinity for the Rocky Mountains. After graduating with a degree in psychology, she worked for several years in criminal justice and mental health before returning to get her Master’s Degree in Nonprofit Management. Tessa began writing as a child and composed her first full-length novel at the age of eleven. By the time she graduated high-school, she had a banker’s box full of short-stories and books. Since then, she has published works as diverse as poetry, greeting cards, workbooks for kids with autism, and academic curricula. The Blood Curse Series marks her long-desired return to her creative-writing roots and her first foray into the Dark Fantasy world of vampire fiction. Go get to know this exciting author! 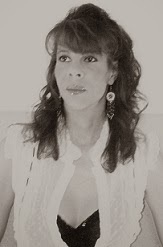 Be sure to leave me comments to let me know what you think of her books and suggestions for any future authors you would like to see spotlighted here! What a great Bog Post on Tessa Dawn! 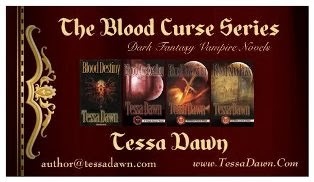 I have been a fan of Tessa Dawn and the The Blood Curse Series for some time. It is wonderful to see her get more exposure for this great series..I love your blog and intend to continue following it in the future.. Thanks Jackie! I have only been recently introduced to her work so I am playing catch up! I am honored to have you stop by! Rereading all the books gerring ready for them new one.....luv Tessa and her vamlyrs! Thank you for stopping in Mayra! It is very nice to see fans of Tessa's here and sharing their happy stories! I read Blood Destiny for the first time about a year ago. I immediately became a huge fan! I read the other 3 books in the series, Blood Awakening, Blood Possession, and Blood Shadows within the next few weeks following. I could not put them down. I recently got my husband to start to reading the series a couple of weeks ago and he is hooked too! 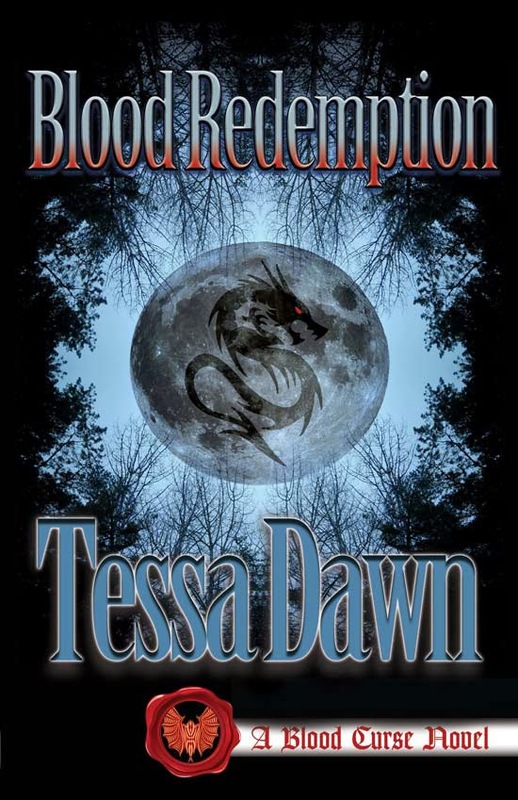 I love the way Tessa write these books and I'm really excited for her upcoming release of Blood Redemption on Oct 31! Great spotlight on the author and this series.The Blood Curse Series became an instant favorite of mine from the first page of Blood Destiny. I have read and re-read the first 4 books and I'm anxiously awaiting book 5. Anyone out there looking for thrill ride...this is the place to be.